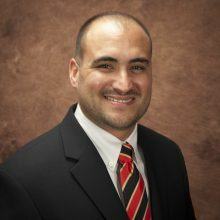 PHOENIX, Arizona – Cutter Aviation is pleased to announce the promotion of Leo Hernandez to the position of Manager of Aircraft Service. In this new role, Mr. Hernandez is responsible for managing all aspects of maintenance operations. This includes the successful implementation of maintenance projects and cost-effective utilization of department resources to meet or exceed the service and aircraft upgrade requirements requested from Cutter Aviation’s maintenance clients. Mr. Hernandez joined Cutter Aviation in 2015 as a maintenance technician for our Part 145 Repair Station in Phoenix, AZ. It quickly became evident that he possessed a keen aptitude for maintenance management, which resulted in his promotion to Lead Mechanic then Supervisor in a short period of time. Mr. Hernandez has also devoted his time to strengthening numerous client relationships while focusing on improving efficiencies within our maintenance department. Prior to joining Cutter Aviation, Mr. Hernandez worked as a Quality Control Inspector for a Part 145 Repair Station in Mesa, Arizona. As Quality Control Inspector for the facility, he was in charge of performing inspections on CFM56, PW2000 and PW4000 engine mount components and accessories, conforming to client requirements and ensuring all work performed was accurate and complete to current manufacturers and FAA standards. This entry was posted on Wednesday, October 3rd, 2018 at 8:11 pm	and is filed under Aircraft Maintenance, Cutter Aviation, Cutter Aviation Careers, Featured, PHX News, Press Release, Promotions, Technical Services. You can follow any responses to this entry through the RSS 2.0 feed. Both comments and pings are currently closed.